Because of its rugged coastline, and its countless inlets, lochs, and windswept islands, many believe that the best way to see Scotland is from the water. Indeed, much that Scotland’s coastline has to offer is totally inaccessible by land. Conversely, the increasing popularity of Scotland for maritime holidays has led to an expansion and improvement of berthing facilities such as marinas and pontoons, meaning boating around the Scottish coast is now simpler than ever before. 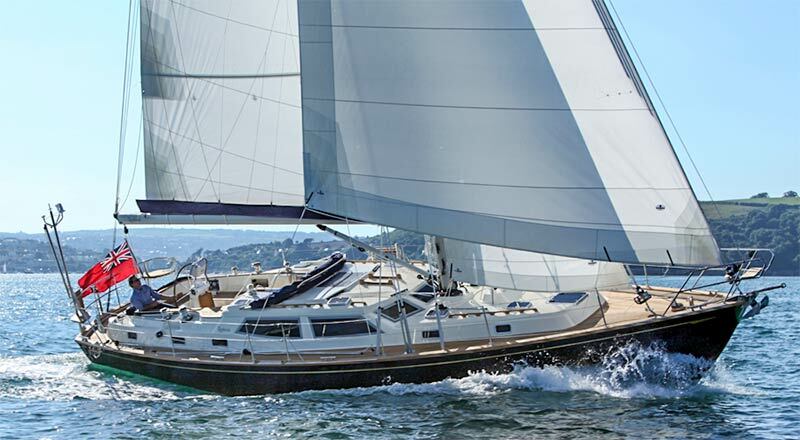 Skilled sailors can easily rent yachts or boats to navigate the shores of Scotland, while those without sailing experience will be well-served by a proliferation of maritime sightseeing companies that offer skippered tours such as in the Southern Hebrides. This article highlights some of the must-stop spots for those considering a jaunt of this nature. The heartland of Scottish sailing, the rugged, unspoilt Western coast is jam-packed with crystal clear lochs, forgotten islands, and sandy white beaches. Visit the Isle of Mull, and go scuba diving among porpoises, basking sharks and shipwrecks, or get out your binoculars and try and spot some of the 250 species of birds that populate the island. Or sail around the Southern Hebridean islands such as Islay, Jura, Colonsay and the dozens of other Hebridean Islands where you’ll find plenty of good sheltered moorings, crystal clear waters, stunning wildlife and unforgettable views. Other popular West coast spots include the Isle of Skye, whose inland Cuillin mountain range provides a stunning environment for hiking, and Harris in the Outer Hebrides, whose southern portion contains some of the best beaches in Britain. The most experienced sailors could make the crossing to the Islands on the Edge, the mystical St Kilda Archipelago, now no longer inhabited after the population was evacuated in 1930. Although somewhat less renowned than its western counterpart, the North East coast of Scotland offers up some hidden gems, not least the countless quaint fishing villages that can be found tucked in amongst the many coves and bays that dot the shoreline. Also to be found in the region are awe-inspiring windswept cliffs , deserted beaches, and a wealth of native wildlife – although do be aware, Scotland’s North Eastern coastline is not as well equipped with facilities for sailing as is the West. Nevertheless, if you enjoy travelling off the beaten track, the North East coast will definitely go down a treat. Brimming with wildlife, culture and folklore, the Orkney Islands are a must-see for any visitor to Scotland. Well equipped with marinas and other sailing facilities, the islands offer an array of attractions to suit many an interest, including the Heart of Neolithic Orkney – a UNESCO World Heritage site which comprises excavations of one of the Islands’ earliest settlements; an arts and crafts trail which takes in some of Orkney’s unique cultural locations and activities; and the magnificent Romanesque architecture of St Magnus Cathedral, founded on these shores by the Vikings in the 12th century and still standing strong to this day. 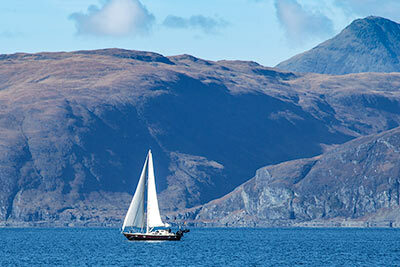 There is so much to see and do on a sailing holiday around the Scottish coast. Remember that the locations listed here merely brush the tip of the iceberg of what maritime Scotland has to offer, so make sure you research your itinerary before you leave to ensure it is maximised to suit your needs and interests. www.sailscotland.co.uk – Scotland’s national marketing organisation for sailing. 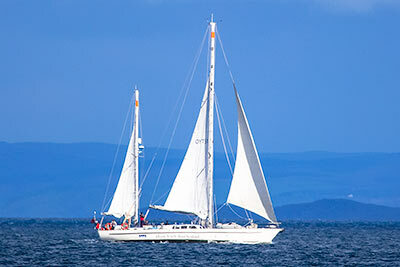 sailingscotland.org – Scotland’s biggest and fastest growing marine tourism resource.